NASA has provided Boeing concurrence to remove and replace the Tracking and Data Relay Satellite’s (TDRS-M) Omni S-band forward antenna. 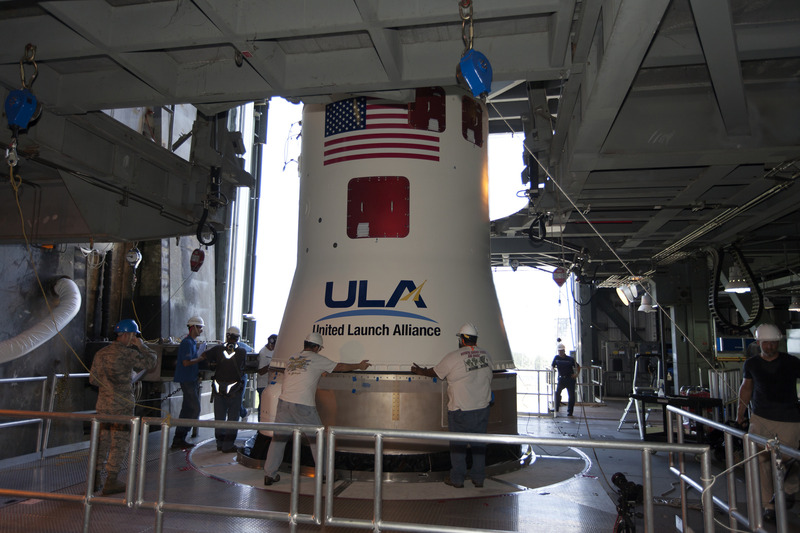 Pending Eastern Range approval, NASA, Boeing, and United Launch Alliance (ULA) are now targeting Aug. 20 for launch. A 40-minute launch window would open at 7:56 a.m. EDT. 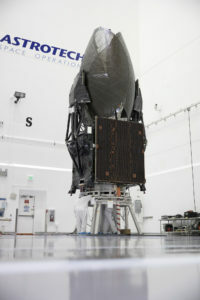 This new date allows for time to replace the antenna, which was damaged earlier this month while Boeing was conducting final spacecraft closeout activities at Astrotech Space Operations in Titusville, Florida. 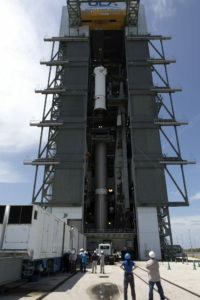 TDRS-M will launch atop an ULA Atlas V rocket from Cape Canaveral Air Force Station in Florida. NASA and Boeing are reviewing plans to safely replace an antenna on the Tracking and Data Relay Satellite (TDRS-M). The satellite’s Omni S-band antenna was damaged during spacecraft closeout activities July 14 at Astrotech Space Operations in Titusville, Florida. The TDRS team is also evaluating a possible electrostatic discharge event involving spacecraft mechanical ground support equipment. An integrated launch team is assessing the Aug. 3 launch date on an United Launch Alliance (ULA) Atlas V rocket from Cape Canaveral Air Force Station in Florida. TDRS-M is the latest satellite to support the space segment of NASA’s Space Network. NASA and Boeing are reviewing an incident that occurred with the Tracking and Data Relay Satellite (TDRS-M) on July 14 at Astrotech Space Operations in Titusville, Florida. The satellite’s Omni S-band antenna was damaged during final spacecraft closeout activities. The mission team is currently assessing flight acceptance and schedule. TDRS-M is planned to launch Aug. 3, 2017, on a United Launch Alliance (ULA) Atlas V rocket from Cape Canaveral Air Force Station in Florida. NASA’s next addition to the Tracking and Data Relay Satellite System and the rocket that will deliver it to space are achieving significant prelaunch milestones this week. The United Launch Alliance Atlas V rocket is coming together in the Vertical Integration Facility at Space Launch Complex 41 on Florida’s Cape Canaveral Air Force Station. 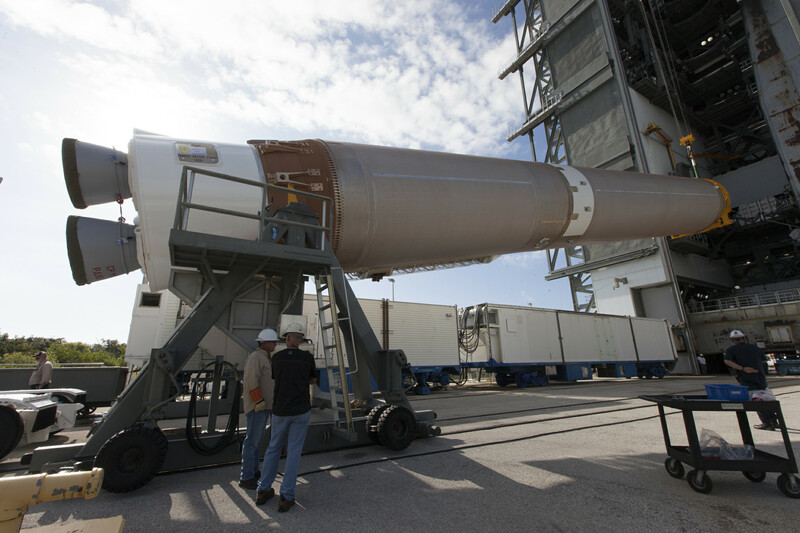 The first-stage booster was transported to the launch complex and lifted into position yesterday. The Centaur upper stage will be installed today atop the first stage. 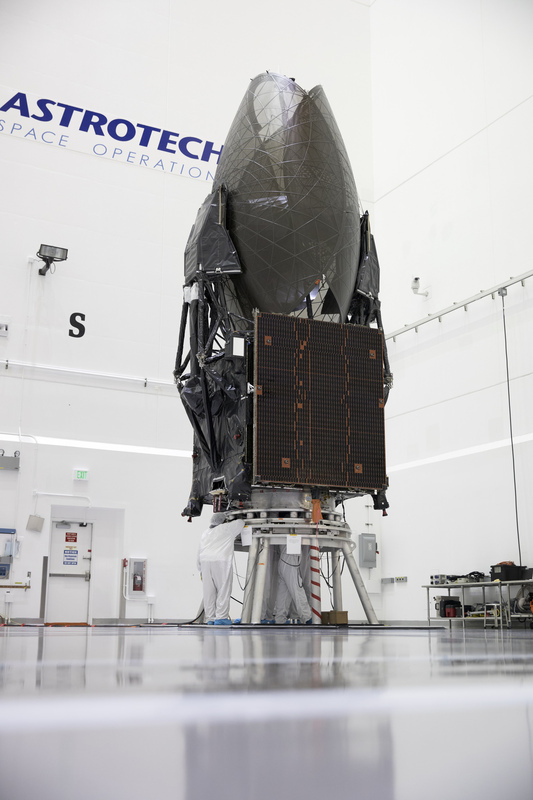 Meanwhile, at the Astrotech payload processing facility in nearby Titusville, local news media got a chance to see the TDRS-M spacecraft before it is affixed to the payload attach fitting in preparation for encapsulation inside the Atlas V payload fairing next week.